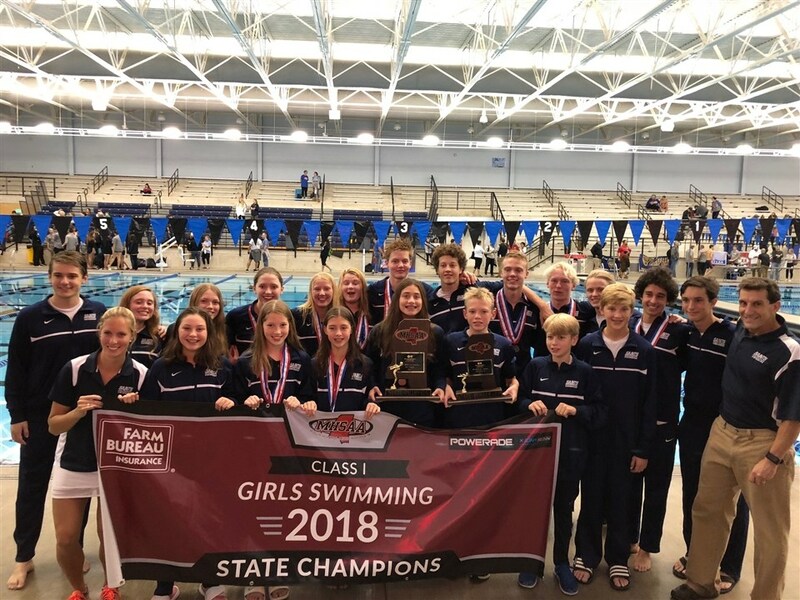 For the first time since 2014 the SA girls’ swim team brought home a state championship while the boys team also had a successful placement as state runner ups. Though they travelled far, stayed in hotels, learned how to use new technology, and had to deal with the nerves during this high stake competition, the girls pushed through and had great success. “I really just like the thrill because your so close to winning and like that’s really exciting. It like hypes me up and makes me want to swim fast,” Sophomore Sarah Bradford Seawright said. According to swimmers like Seawright, the mental approach to the state meet is different than the other meets throughout the year. The tension is high, the lights are bright, and the crowd is big. The pressure of the crowd is enough to mess with the mentality of many athletes, but the added pressure of your team relying on you to win your race was almost unbearable for Seawright. Seawright, however, is competing in her third state championship and knows how to deal with the mental pressure of the meet. “Before I race I always have to like get in my head what I am about to do and what I want, so like whenever I swim I’m like I really want that gold medal,” Seawright said. Even with the added pressure Seawright pulled through and placed first in her 500 freestyle and secured a total of 13 points for the girls team. Sophomore Ava Ketner swam the 500 freestyle alongside Seawright and individually she scored 6 points for the girls team. “My favorite event was the 500 free because Sarah Bradford really just attacked the St. Joe team, and I was happy to see her win,” Ketner said. The middle schoolers on the team also had a large impact on the team’s success. eighth grader Lauren Balfour swam near state record times in both her 100 fly and 100 backstroke and scored a total of 18 points for the team and 7th grader Bess Ketner placed 3rd in the 100 meter breastroke and scored ten points for the team. Other notable performances included Emily Herrington who scored 8 points, Hannah Grace Kerr who scored 3 points, and Annabelle Abraham who scored 2 points.